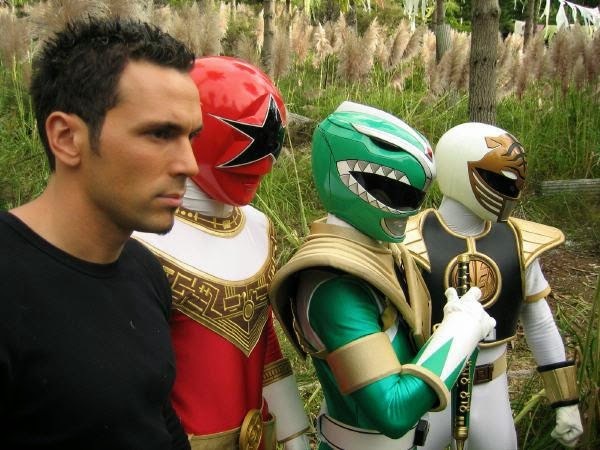 Jason David Frank, best know as Tommy The Green/White Ranger for the 90's Might Morphin Power Rangers, has taken to his Facebook page to talk about the Rated R fan film. For those of you who have missed out on the video, it was a 14-minute Power Rangers fan video starring James Van der Beek and Katee Sackhoff hit the net and within 3 days hit 12 million views, sadly the video was pulled and now the producers are going up against Saban in court. What does Frank thin about all of this? check out the video below and you will get your answer. Adi Shankar and Joseph Kahn, the music video director who directed the short film, said he is “very disappointed” that Saban has opted to turn his fan video into a legal battle. “I think it’s a huge blow for fandom,” he told Deadline. “I think they’re hurting themselves. I think with this short they’ve gotten more attention than ever before. How do you break the Internet with the Power Rangers? I think it gave them a lot of publicity and revived its pop culture awareness. Instead of supporting the good will of the fans, they’ve turned it into a legal issue. It doesn’t sound like they’re thinking of the fandom at all. Post by JASON DAVID FRANK - Official Fan Page.